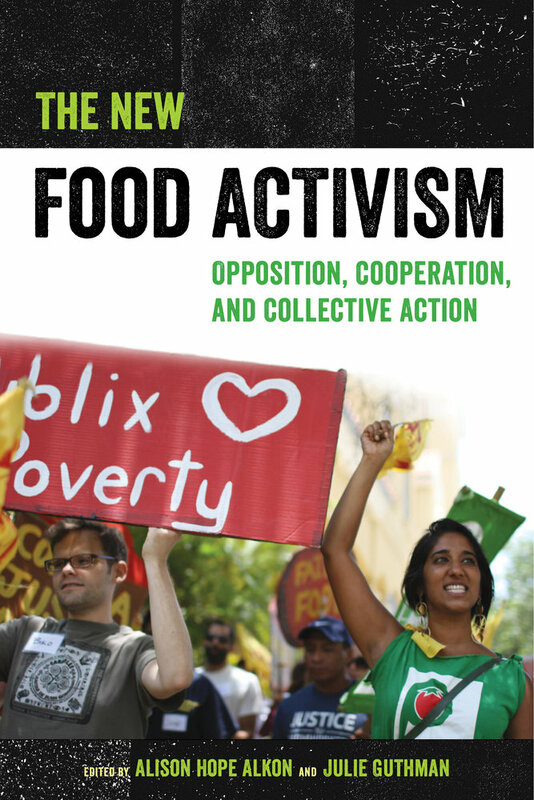 The New Food Activism explores how food activism can be pushed toward deeper and more complex engagement with social, racial, and economic justice and toward advocating for broader and more transformational shifts in the food system. Topics examined include struggles against pesticides and GMOs, efforts to improve workers’ pay and conditions throughout the food system, and ways to push food activism beyond its typical reliance on individualism, consumerism, and private property. The authors challenge and advance existing discourse on consumer trends, food movements, and the intersection of food with racial and economic inequalities. Alison Hope Alkon is Associate Professor of Sociology and cofounder of the master’s degree program in food studies at the University of the Pacific. She is the author of Black, White, and Green: Farmers Markets, Race, and the Green Economy and coeditor of Cultivating Food Justice: Race, Class, and Sustainability. Julie Guthman is Professor of Social Sciences at the University of California, Santa Cruz. She is the author of Agrarian Dreams: The Paradox of Organic Farming in California and Weighing In: Obesity, Food Justice, and the Limits of Capitalism.